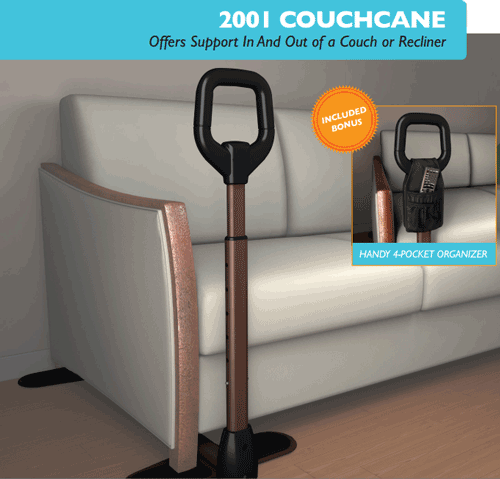 CouchCane is a handle that aids individuals to transition from a sitting position to a standing position from a couch, chair or recliner. The Couch Cane has a solid steel construction giving you a sturdy handle to hold onto. 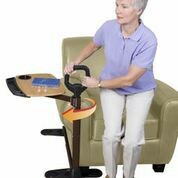 The Couch Cane is manufactured by Standers, a leading manufacturer of durable mobility aids. The Standers CouchCane can adjust to the length of the furniture's legs and the desired height with a push of a button. 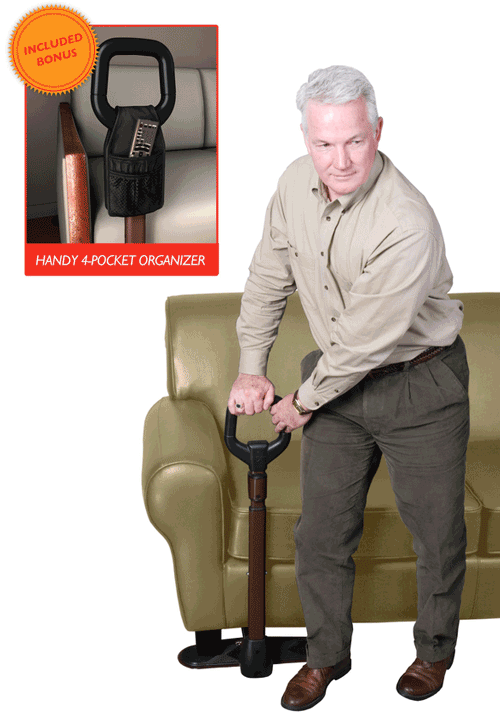 This Chair Cane includes a 4-pocket organizer for your remote or anything you need to keep handy. 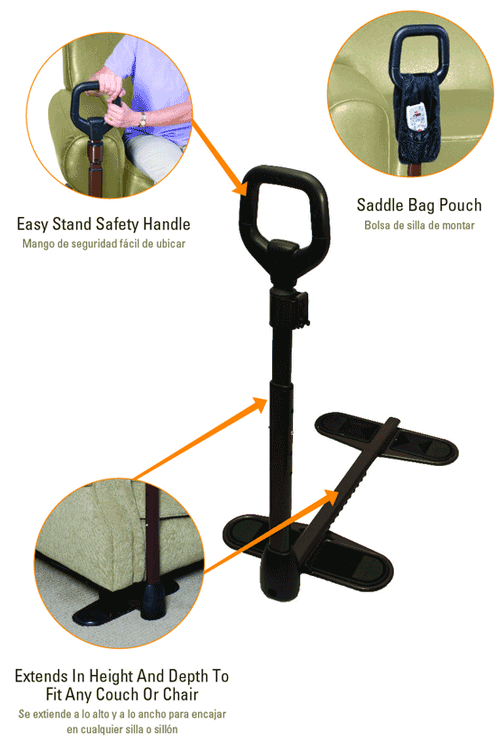 Standers Couch Cane is a folding chair cane that provides greater mobility for people in transitioning from a sitting position to standing. The height of the chair cane is adjustable from 29 inches to 32 inches. The chair cane fits couch depths from 21inches to 33 inches. Anti-skid pads prevent furniture from slipping and causing floor damage. Can be used on either the right, or left side of the furniture. 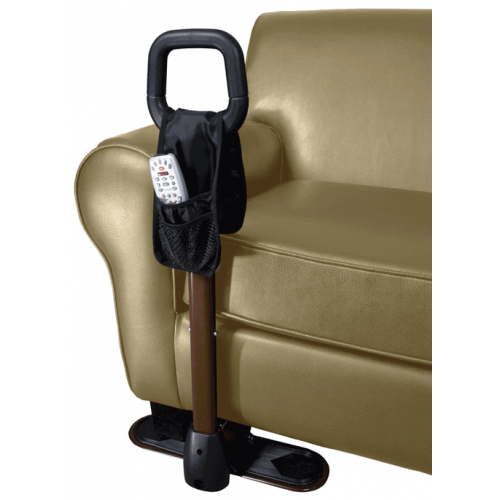 Each Recliner Cane unit also includes a CouchCane Organizer with 4 pockets that give easy access to items that are used repeatedly. Couch Cane also serves well as a Recliner Cane or Chair Cane. 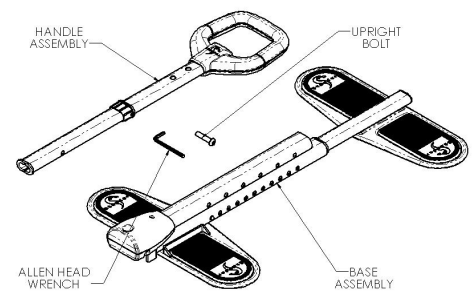 CouchCane includes a 4-pocket organizer. 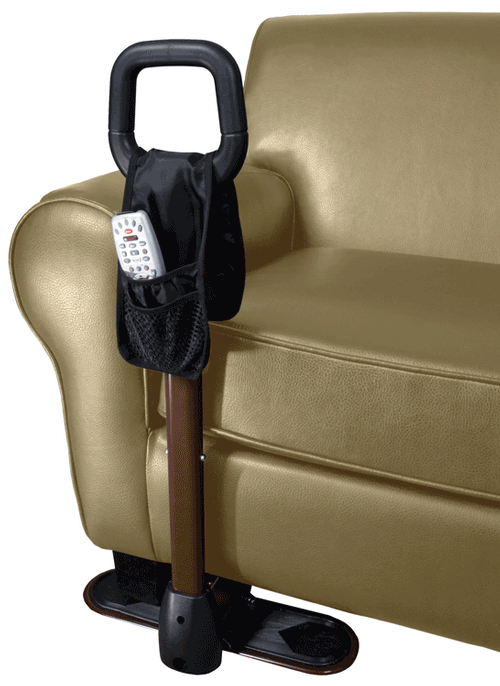 Couch Cane comes with adjustable cane grip height. Handle allows for variety of grip positions. Installs on either end of a full range of couch styles. Anti-skid pads provide stability and helps to protect floor surface from damage. Stander Couch Cane Product Number: 2001. 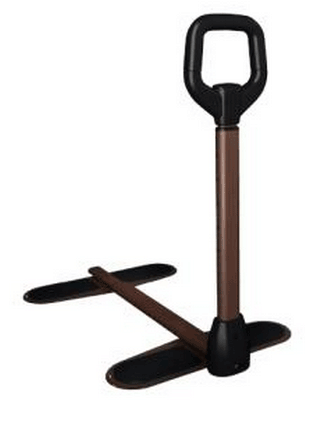 Handle Height: Adjustable 29 to 32 inches. Couch Feet Distance: 21 to 33 inches. Tried to order cane couch & swivel tray which says it has free shipping, but when I put them in my cart, I'm being charged shipping. Please advise how I can delete shipping charges. Other items ordered may have caused a shipping charge to be placed for your order. If this was done in error, please call us at 800-397-5899 and have one of our customer service representatives assist you. 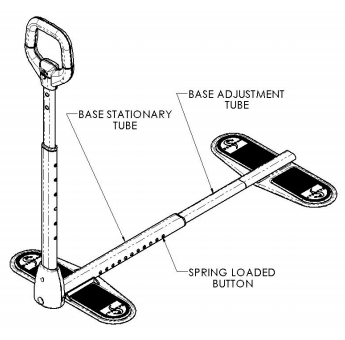 What about the swivel tray #2051?? I bought this for my husband & it works great- but there was a flyer in the instructions for the tray. How can I order one- how much is it & where do I get it? The tray has to be purchased separately and the item is 2055 on our website. If you're looking to special order a specific item, please call us at 800-397-5899 to speak with a customer service representative who can assist you.